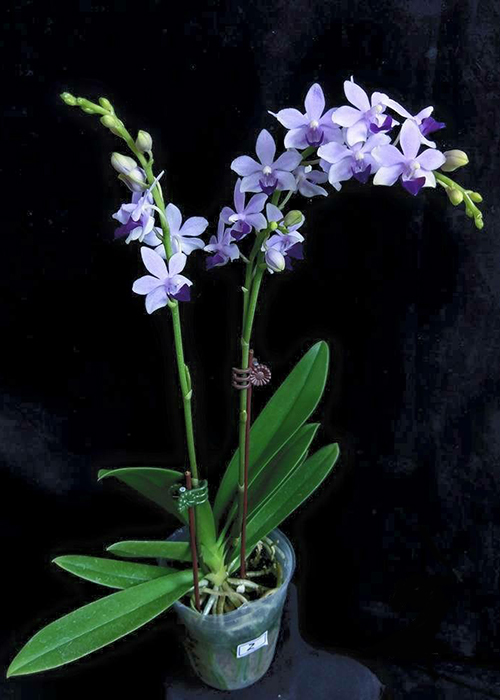 A robust and compact grower, Phal. 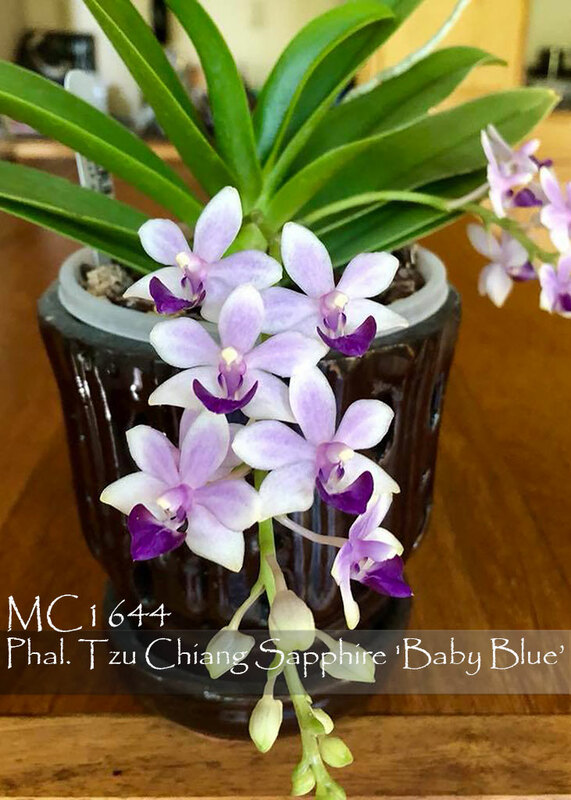 Tzu Chiang Sapphire has proven to be our best summer bloomer ! 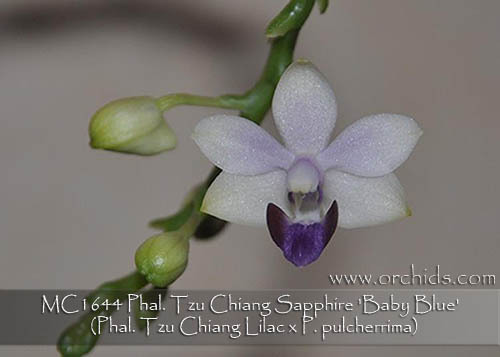 It’s immediate background is a combination of three summer blooming species, Phal. pulcherrima, tetraspis and micholitzii, resulting in a flower spike that will continue to add even more buds and flowers throughout the summer. 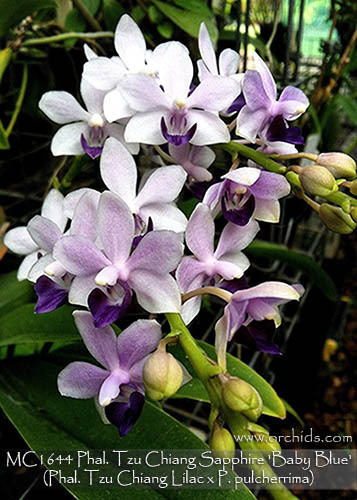 Its 3.2 cm flowers have a soft blue flush, boldly accented with a rich dark purple-blue lip. A great choice for summer’s heat and perfect for space-challenged collections, providing a delightful bouquet. Highly Recommended! 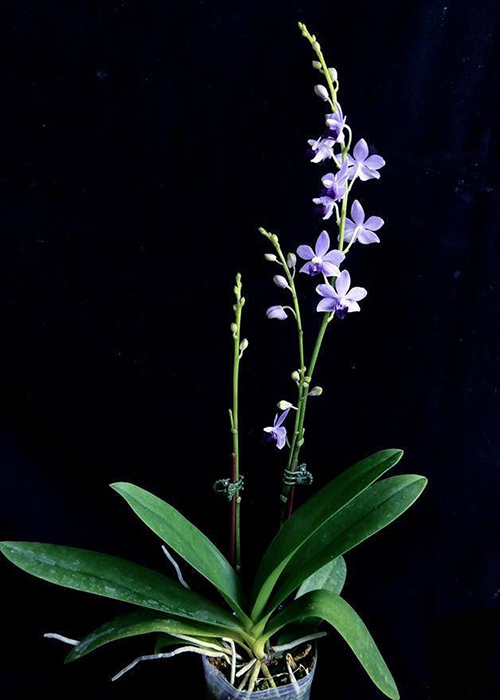 Baby Blue , Note: Proven grower, capable to bloom twice a year .